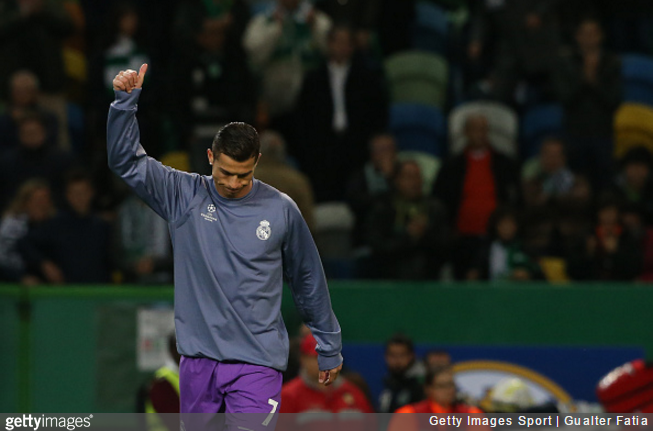 As you may be aware, a certain prodigal son returned to Sporting Lisbon last night, with Cristiano Ronaldo afforded VIP status for the duration of Real Madrid’s visit to the Jose Alvalade. Of course, Ronaldo played a prominent part in Madrid’s 2-1 win but it was after the game, in the UEFA-sanctioned mixed zone (for press) that the Portuguese superstar really shone. A little story from last night, which may take a few tweets, so bear with me. The mixed zone was, obviously, packed, mainly for @Cristiano. Cristiano doesn’t come out for ages, so @realmadrid send Fabio Coentrao back in to get him, at last explaining what his job actually is. When he does, the screams start (from the fans). He ignores the journalists (which is standard) but stops for a kid standing next to me. The kid gets a selfie. His Dad takes a back-up photo. The kid’s like 13. He starts physically shaking. Heaving for breath. Tears. The works. As @MarkOgden_ (also present) said, it’s easy to forget – as a journalist, as an adult, as a cynic – what people like Ronaldo mean. The kid needed about 5 minutes to compose himself. It was like he’d had a religious experience. I’m not sure I have a conclusion. Just that, for all its soap opera nonsense, pretty great football can mean that much to people. FIN. As we’ve seen several times before, the man most definitely uses his inimitable powers for good more often than not.